Full Access NYC excursion tip. We were told of an art exhibition in East Harlem starting September 28 and running through October 15th. Could be something fun to do with friends or a date. 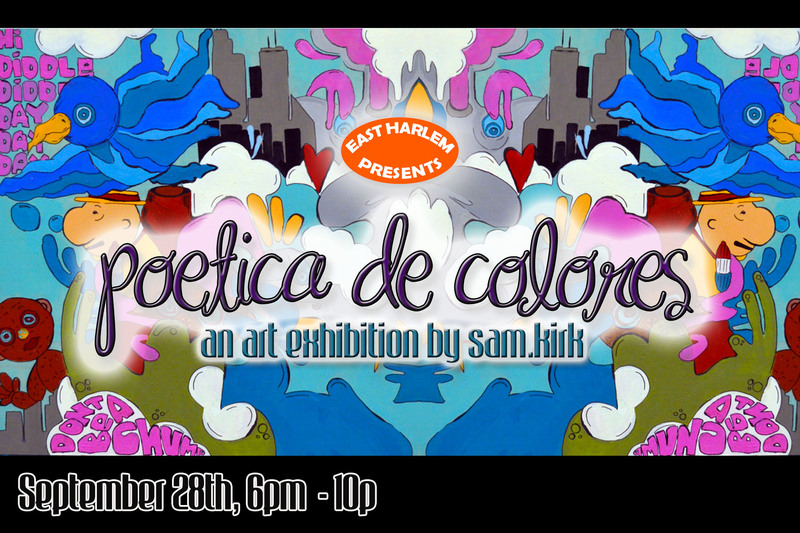 “Poética de Colores” is a solo exhibition by artist, Sam Kirk. Opening reception on Friday, September 28th from 6:30pm to 10:00pm. The reception will take place at Poet’s Den Gallery, located at 309 E 108th St. Suite 1R in East Harlem. “Poética de Colores” is an exhibition full of abstract and representational work. It includes paintings, illustrations and prints that touch on culture and color and the eccentricities that are lingering and layered in both. Sam’s use of color is the common thread through each piece, from the wrinkles of an old man’s face to the caricatures that wander in dreams. The exhibition is Sam’s first solo show in New York City and is part of a residency she is doing at The Poet’s Den Gallery. I will head up on the weekend and check it out. If you go, definitely let us know what you think. J’Aime Nails – Astoria – 2839 31st St.